Mind and Body. Psychosomatic Pathology: A Short History of the Evolution of Medical Thought. New York. : P. J. Kenedy and Sons.. Good with no dust jacket. Hardcover. 8vo - 21.5 x 14 cm. ; xix - 150 pp. 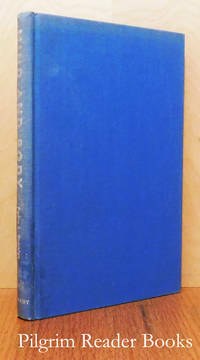 Blue cloth with silver gilt lettering on the spine. Translated from the Spanish by Aurelio M. Espinosa Jr. Foreword by E. B. Strauss. Usual library markings and with the dust jacket flaps fastened to the front free end paper. The spine is a tad faded, else clean with a sound binding. . The Diseases of Females: A Treatise Illustrating Their Symptons, Causes, Varieties, and Treatment. Including . . .
London, UK. : Simpkin and Marshall.. Very Good. 1845. Hardcover. 8vo - 21.5 x 13.5 cm. ; xii - 286 - 30 - (4) pp. Fourth edition, revised and enlarged. The title page continued: ". . . the Diseases and Management of Pregnancy and Lying-in. Designed as a Companion to the Author's Modern Domestic Medicine. Containing also an Appendix on the Proper Principles of the Treatment of Epilepsy; an Account of the Symptons and Treatment of Diseases of the Heart; and a Medical Glossary." Half bound with green cloth on the boards and green leather on the spine and the fore corners. Six panelled spine with gilt lettering on a brown leather paste down square in the second panel from the head. Marbled end papers and the text block edges are marbled to match and still have their original sheen. Minor wear and rubbing to the tail edges of the boards and the spine tips, otherwise very clean with a sound and tight binding. 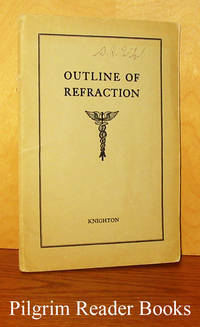 A clear and removable archival cover has been fitted. .
Manual of Refraction. (2nd Edition). Boston, Massachusetts. : Little, Brown and Company.. Very Good with no dust jacket. 1970. Second Edition. Hardcover. 8vo - 23.5 x 15.5 cm. ; xiii - 282 pp. Pictorial purple cloth over boards. Five contributing authors: Jack C. Copeland, Charles Isenstein, Ralph E. Kirsch, Joel A. Kraut and Perry Rosenthal. With 5 pages of laboratory exercises, 2 appendices, 5 page glossary, 2 page bibliography and an 8 page index. Minor soiling to the head edge of the front board, otherwise clean with a tight binding. . Surgery of the Eyelid, Orbit, and Lacrimal System. 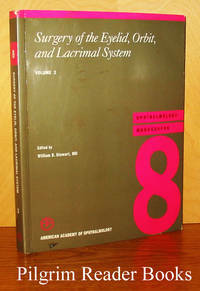 Ophthalmology Monographs 8. By Stewart, William B. (editor). San Francisco, California. : American Academy of Ophthalmology.. Very Good+. 1994. Softcover. 1560550457 . 8vo - 23 x 18 cm. ; xviii - 323 pp. Suggested readings and references after each chapter. Self-study examination at the back with answers and a 21 page index. 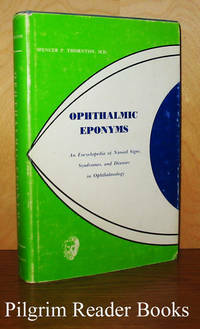 Minor wear and scuffing to the covers, otherwise clean with a tight binding. .
Ophthalmic Eponyms: An Encyclopedia of Named Signs, Syndromes, and Diseases in Ophthalmology. Birmingham, Alabama. 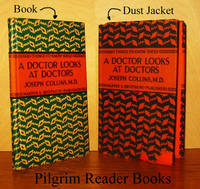 : Aesculapius Publishing.. Good+ in Good+ dust jacket. 1967. Hardcover. 8vo - 23 x 15 cm. ; ix - 324 pp. Blue linen over boards with gilt lettering on the spine. From the dust jacket: ". . . more than six hundred eponyms encountered in ophthalmology and related disciplines . . . All synonyms are given for each eponym and all are indexed . . . There are more than 2,000 cross references . . ." The endpapers have some mild foxing and there is light shelf wear to the fore corners of the boards and the spine tips, otherwise clean witn a solid binding. 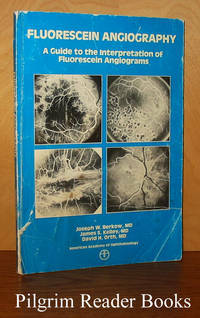 The dust jacket is scuffed with edge wear. .
Fluorescein Angiography: A Guide to the Interpretation of Fluorescein Angiograms. By Berkow, Joseph W. and James S. Kelley with David H. Orth. San Francisco, California. : American Academy of Ophthalmology.. Fair. 1984. Softcover. 8vo - 24.5 x 17 cm. ; 160 pp. A volume from the Manuals Program of the Academy. Four page glossary and a 6 page bibliography. Illustrated with many black and white photographs, 1 black and white line drawing, 1 graph, and 1 chart. The covers are quite scuffed with dog-eared corners and a closed tear on the front at the spine tail. The interior is clean with a solid binding. .
Philadelphia, Pennsylvania. : Lea & Febiger.. Very Good. 1965. Softcover. 8vo - 20 x 11.5 cm. ; 211 pp. Stiff gray wraps with white lettering on the spine and the front cover and white and black drawings on the front. The covers show mild and general wear and the back cover is scuffed. The interior is clean and the binding is tight. .
Retinal Detachment. 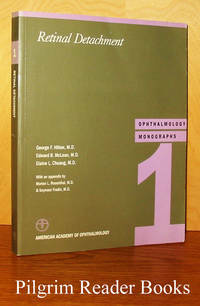 Ophthalmology Monographs 1. By Hilton, George F., Edward B. McLean and Elaine L. Chuang. San Francisco, California. : American Academy of Ophthalmology.. Very Good+. 1989. Softcover. 1560550457 . 8vo - 23 x 18 cm. ; xi - 227 pp. 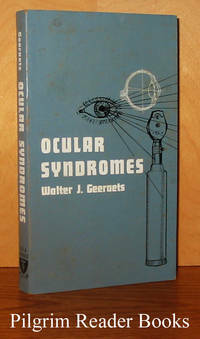 First published in 1953, this is the fifth edition. Bibliography after each chapter. Self-study examination at the back with answers and a 13 page index. 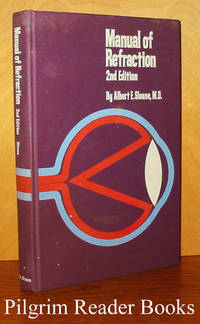 The appendix, "The Technique of Binocular Indirect Ophthalmoscopy" is by Morton L. Rosenthal and Seymour Fradin. 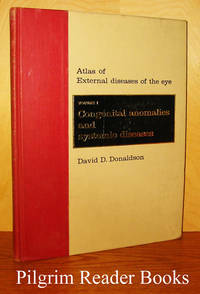 Minor wear and scuffing to the covers, otherwise clean with a tight binding. .
Atlas of External Diseases of the Eye. Volume 1: Congenital Anomalies and Systemic Diseases. Saint Louis, Missouri. : C. V. Mosby.. Good+ with no dust jacket. 1966. Hardcover. 4to - 28 x 21.5 cm. ; x - 169 pp. Tan paper and red cloth over boards with gilt lettering on the spine and on a black panel on the front with black titling. Complete with the View-Master compact viewer and 105 stereoscopic views on 15 View-Master reels in pockets on the back paste down end paper. One page bibliography and a 7 page index. Light soiling and wear to the externals and the binding is a tad "sprung" due to the thickness of the View-Master material at the back. .
Outline of Refraction with the Retinoscope and Cycloplegia. New York. : Privately published.. Poor. (1937). Softcover. 8vo - 20 x 13.5 cm. ; 63 pp. Light gray wraps with black lettering in a saddle stapled binding. 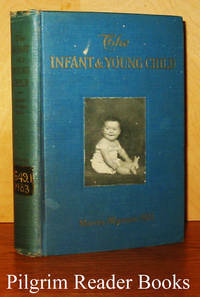 First published in 1937, this is the fourth printing and the second edition. Based on a series of lectures given at the New York Eye and Ear Infirmary. The covers are detached from the staples and are mildly worn with soiling on the back. 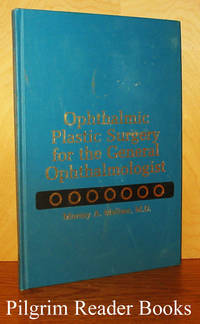 The interior or text block is clean with a solid binding. .
Ophthalmic Plastic Surgery for the General Ophthalmologist. Baltimore, Maryland. : Williams & Wilkins.. Very Good with no dust jacket. 1979. Hardcover. 0683059505 . 4to - 25 x 17 cm. ; xi - 84 pp. Blue cloth over boards with gilt lettering on the spine and the front board. Two page index at the back. Well illustrated with black and white line drawings by Virginia Cantarella. Minor surface soiling to the front board, otherwise clean with a tight binding. .
Laser Photocoagulation of the Retina and Choroid. 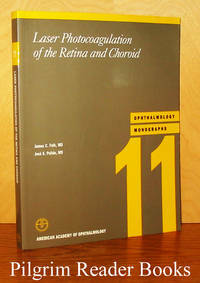 Ophthalmology Monographs 11. By Folk, James C. and Jose S. Pulido. San Francisco, California. : American Academy of Ophthalmology.. Very Good+. 1997. Softcover. 1560550457 . 8vo - 23 x 18 cm. ; xv - 276 pp. Suggested readings after each chapter. Self-study examination at the back with answers and a 16 page index. Minor wear and scuffing to the covers, otherwise clean with a tight binding. . Optic Nerve Disorders. 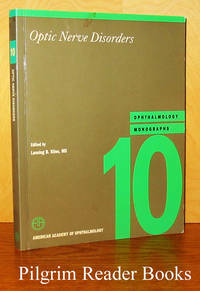 Ophthalmology Monographs 10. By Kilne, Lanning B. (editor). San Francisco, California. : American Academy of Ophthalmology.. Very Good+. 1996. Softcover. 1560550457 . 8vo - 23 x 18 cm. ; xvi - 248 pp. References after each chapter. Self-study examination at the back with answers and a 18 page index. Minor wear and scuffing to the covers, otherwise clean with a tight binding. .
Laser Photocoagulation of Retinal Disease. (from the International Laser Symposium of the Macula). By Gitter, Kurt A., Howard Schatz, Lawrence A. Yannuzzi and H. Richard McDonald. San Francisco, California. : Pacific Medical Press.. Near Fine with no dust jacket. 1988. Hardcover. 0960810242 . 4to - 28 x 21.5 cm. ; x - 281 pp. Red cloth over boards with gilt lettering on the spine and the front board. 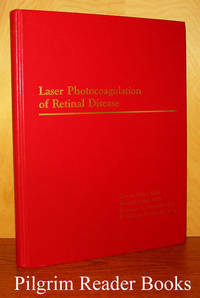 Seventy-eight contributors in 6 topic areas: "Basic Concepts, Modalities, and Instrumentation", "Diabetic Retinopathy", "Other Retinal Vascular Diseases", "Subretinal Neovascularization - Macular Degeneration", "Other Retinal Pigment Epithelial Diseases" and "Other Conditions Amenable to Laser Treatment". Each one of the 35 articles has its own list of references. Minor wear to the spine tips, else fine. .
Plaster of Paris and How to Use It. By Ware M.D., Martin W.
New York. : Surgery Publishing Co.. Very Good+ with no dust jacket. 1911. Hard Cover. 8vo - 20 x 12.5 cm. ; viii - 102 pp. Dark blue over boards with gilt lettering on the spine and the front board. White decoration on front board of a roll of plaster. 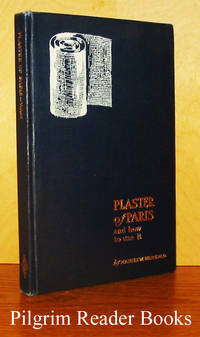 First published in 1906, this is the 2nd edition, revised and enlarged with 90 original drawings. Everything you wanted to know about setting fractures and etc circa 1911. Corners are slightly bumped and worn with similar wear on spine top and bottom, otherwise clean with a sound binding. A clear and removable archival cover has been fitted. .
By Verdun SJ., Dr. M.
Paris, France. : Emmanuel Vitte.. Good+. 1953. Softcover. 12mo - 18.5 x 14 cm. ; ix - 331 pp. The text is in French. 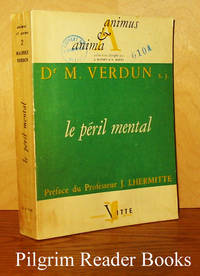 Volume 2 in the "animus & anima" collection from this publisher - "collection de psychologie pédagogique et sociale". 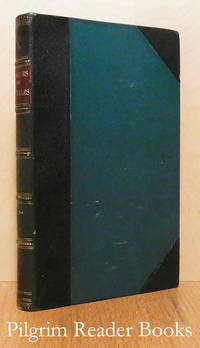 Illustrated with 60 black and white plates, indexed at the back. Also illustrated with black and white line drawings. The library markings are a a sticker ghost on the lower spine, stamps on the front cover, the title pages and on the fore edge margins of a couple of pages. The book shows only mild shelf wear with some light soiling and mild browning or age-toning. ; Ex-Library . 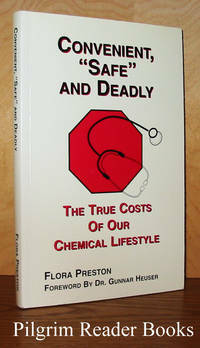 Convenient, "Safe" and Deadly, The True Costs of Our Chemical Lifestyle. Lanark, Ontario. : Health Risk Navigation Inc.. Very Good+. 2006. Softcover. 0978130103 . 8vo - 21.5 x 14 cm. ; 221 pp. Foreword by Dr. Gunnar Heuser. Inscribed and sign by author on title page. This book "takes the basic principles of clinical toxicology and puts them in an easy to read and easy to understand format. . . demonstrates how the tiny doses of a wide range of thousands of chemicals we daily encounter accumulate into a very large chemical exposure dose. . ." Preston also tells her personal story of being disabled with chemical injuries. She was formerly a Registered Practical Nurse. Photos, appendices, bibliography, index. A clean, tight copy. ; Signed by Author . Passaic, New Jersey: The Health-Culture Co.. Good+. 1913. Hardcover. 12mo - 18.5 x 12 cm. ; 117, (5) pp. First published in 1906, this is a later edition. Last section of book is a list of publications by the Health-Culture, which was itself a monthly publication "devoted to Practical Hygiene and Bodily Culture" and was "unquestionably the best publication of its kind ever issued." This claim I cannot personally vouch for. 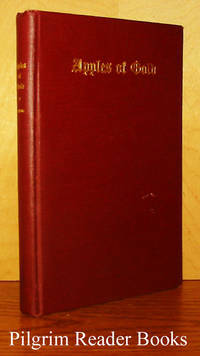 Red-brown cloth-covered boards with gilt lettering on spine and front cover. Light wear on cover, former owner's name stamped on front endpaper, bit of wear on front free endpaper; binding sturdy and text pages are clean. .
New York. : Harper & Brothers.. Very Good+ in Fair dust jacket. 1927. First Edition. Hardcover. 16mo - 17 x 10.5 cm. ; (6) - 32 pp. Patterned green paper over boards with a paste on orange band with black lettering. The text block head edge is stained dark red as issued. One of the "Things-to-Know" series from Harper. From the dust jacket: "This amazingly frank discussion of the medical man by a distinguished physician and psychiatrist . . . He points out why the doctor so often fails and makes a plea for better understanding of the patient". The book shows mild wear to the board corners and spine tips. The unclipped dust jacket, a rather frail affair to start with, is worn on the head and tail edges and darkened. .
Philadelphia, Pennsylvania. : W. B. Saunders.. Good+ with no dust jacket. 1929. Hardcover. 8vo - 19.5 x 13 cm. ; 209 pp. Blue cloth over boards with gilt lettering on the spine and the front board along with a paste-on black and white photograph centered on the front. First published in 1923, this is the second revised edition. The revisions, aside from minor text changes, are new sections on whole milk modifications, green vegetables, poor appetite, sunshine, ultraviolet light and rickets. Illustrated with many black and white photographs and charts and lists. The fill-in records at the back are all clean and have never been used. Fifteen page comprehensive index at the back. The library markings are an accession number on the lower spine, a partially removed pocket on the front paste down end paper and some library numbers on page 9, the preface to the second edition page. Otherwise the book is clean and sound with mild wear to the externals, the gilt lettering is faded and the front has some random and small spotting on it. ; Ex-Library .